Because of the lack of discrimination in ascertaining how the composers used t motives, we can understand Massenet's et Cie. ambivalence about Wagner's influence. The Wagner system was not only about motives but also in how they were employed and what kinds of things they were meant to symbolize, that was all part of the "system." Other composers broke with that system by using motives entirely differently, Verdi, for example, used them extremely sparingly and kept them intact, to him they were used as recontextualized reminiscence. Massenet followed that path as well, his theme usage in Manon and Werther are sparse. They highlight just a few issues and moments within the work. Though their job was to see these discrete techniques and artistic conceptions, critics at the time became partisans and polemicists and Wagner's breakthroughs led to a decade of deep creative frustration and ambivalence. A look at Manon and Carmen shows how "Mademoiselle Wagner" was as much an inheritor of Bizet and of traditional opera as he was an acolyte of Wagner. Though published at a time when operas had firmly become "Music Drama" Manon is comfortably within the same family as its famous predecessor. Some of the scenes in both operas are startlingly parallel. They open with huge tableaux showing us all these slices of life scenes, the changing of the guard and the cigarette girls in Carmen and the Inn at Amiens were the townspeople chatter and gossip waiting for Guillot and De Bretigny to arrive. The music here is boisterous festive and self-referential. Both composers here are concerned with evincing extended local colors and flavors, hardly a Wagnerian concern. In the first act, we already see Bizet employing the limited use of motive that in 1874 already got tarred as Wagnerism. The use of Carmen's fate theme, which is one of the devices that allows Bizet to connect his opera between the individual "numbers" is much in the same vein that Massenet uses his themes. It's true that in Bizet these themes are not employed as subtly as in Manon but a decade separates these works and innovation and aesthetic temperament grow and change. Both these operas concern themselves with a heroine too morally ambivalent to serve as a Wagnerian philosophical prop. The story of their journeys from the desire to defiance to death is firmly in the traditional school of operatic stories and despite hysterical criticism that the orchestras in each of these operas dominated the singers (!) these works show no great leap from that last international opera composed for Paris, Verdi's Don Carlos in 1867. That Wagner's influence is tremendous is obvious. I have not even gone through the changes he made in the theater such as the hidden pit and the completely unlit performance hall. It is hard to believe that before him orchestra pits were public affairs and those operatic spectacles were viewed with the house lights on. This does not mention his advocacy for chromatic horns, the invention of the Wagner horns, and the standardization of the orchestra as we know it nor his role in the primacy of the conductor. 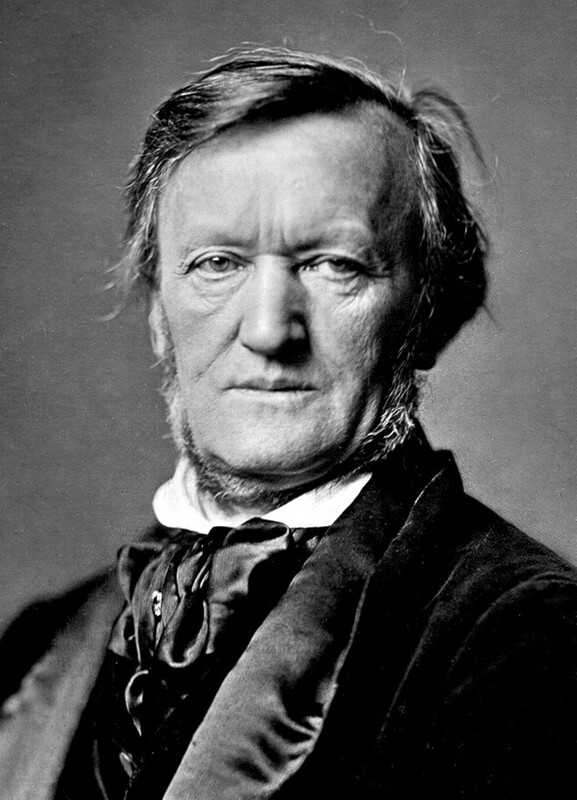 His idiom is still the idiom of popular classical music to this day, in television, films and video games, the scores are composed with Wagner in mind. To have to deal with that influence, particularly at its first great plateau must have been an enormous preoccupation. The terror that Brahms and Schubert had of Beethoven even pales in comparison. For classical music, particularly opera, this age was the birth of the anxiety of influence, and the French composers of that time must have realized that they would not live long enough to see themselves understood or appreciated for their personal contributions.